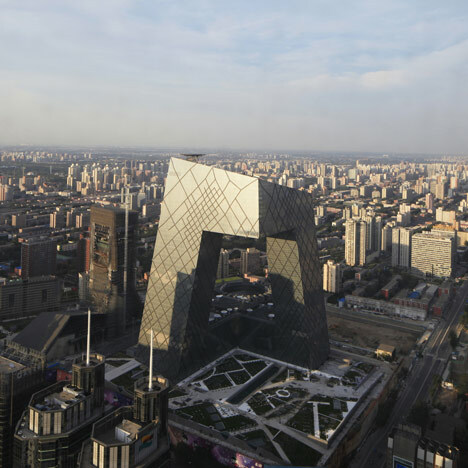 The China Central Television Headquarters in Beijing by architects OMA are now complete. The CCTV building comprises two towers that lean towards one another and are bridged at both the the top and bottom to form a distorted loop. The building contains TV studios, offices and facilities for production and broadcasting, which will be put into use later this year. OMA have unveiled a few new projects in the last month, including a performance institute in New York and an arts venue in Moscow. Rem Koolhaas gave Dezeen a quick introduction to that project, which you can watch here. For job opportunities at OMA, visit their company profile on Dezeen Jobs.